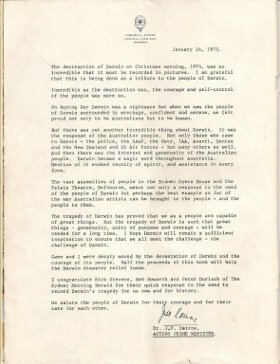 The Darwin Cyclone Report published by The Sydney Morning Herald included a letter from Acting Prime Minister Jim Cairns who visited Darwin on Boxing Day 1974. 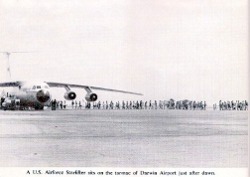 The destruction of Darwin on Christmas morning, 1974, was so incredible that it must be recorded in pictures. I am grateful that this is being done as a tribute to the people of Darwin. Incredible as the destruction was, the courage and self-control of the people was more so. 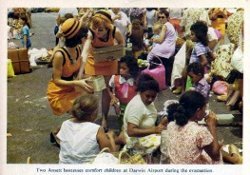 On Boxing Day Darwin was a nightmare but when we saw the people of Darwin surrounded by wreckage, confident and serene, we felt proud not only to be Australians but to be human. But there was yet another incredible thing about Darwin. It was the response of the Australian people. 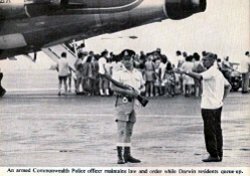 Not only those who came to Darwin - the police, the RAAF, the Navy, TAA, Ansett, Qantas and the New Zealand and US Air Forces - but many others as well. And then there was the interest and generosity of the Australian people. Darwin became a magic word throughout Australia. Mention of it evoked reunity of spirit, and assistance in every form. 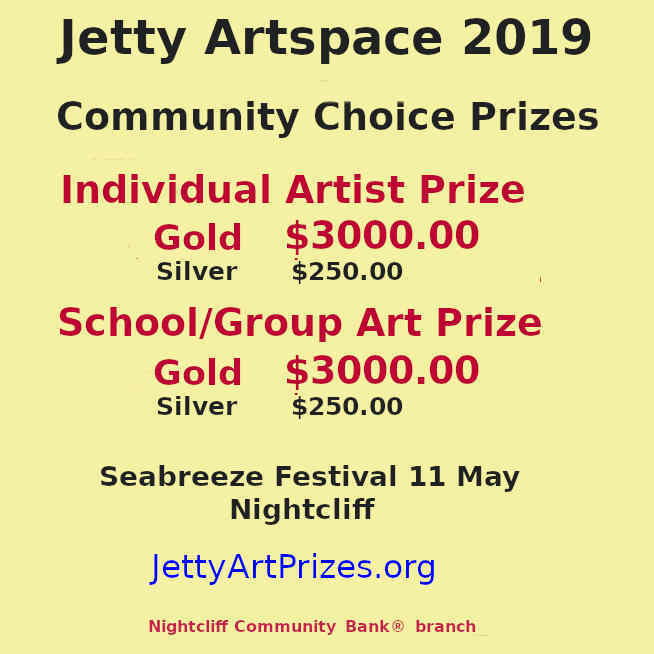 The vaste assemblies of people in the Sydney Opera House and the Palais Theatre, Melbourne, meant not only a response to the need of the people of Darwin but perhaps the best example so far of the way Australian artists can be brought to the people - and the people to them. The tragedy of Darwin has proved that we as a people are capable of great things. But the tragedy of Darwin is such that great things - generosity, unity of purpose and courage - will be needed for a long time. I hope Darwin will remain a sufficient inspiration to ensure that we all meet the challenge - the challenge of Darwin. Gwen and I were deeply moved by the devastation of Darwin and the courage of its people. 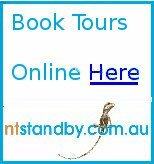 Half the proceeds of this book will help the Darwin disaster relief funds. I congratulate Rick Stevens, Bob Howarth and Peter Durisch of The Sydney Morning Herald for their quick response to the need to record Darwin's tragedy for us now and for history. We salute the peope of Darwin for their courage and for their care for each other. Children must still be fed. 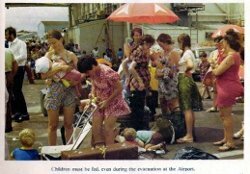 - read about her personal experience of Cyclone Tracy. More Cyclone Tracy Pictures and Information. Return from Darwin Cyclone Report to Enjoy Darwin Home.